Dumbbell triceps extensions are one of the best isolation exercises you can add to your training program for your triceps. 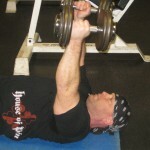 The dumbbell triceps extension is an isolation exercise to work your triceps. Because it is an isolation exercise, it focuses directly on your triceps without the involvement of any other major muscle groups. 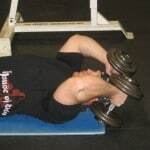 The exercise is very similar to skull crushers, however when performed properly using dumbbells allows you to perform it with a greater range of motion. 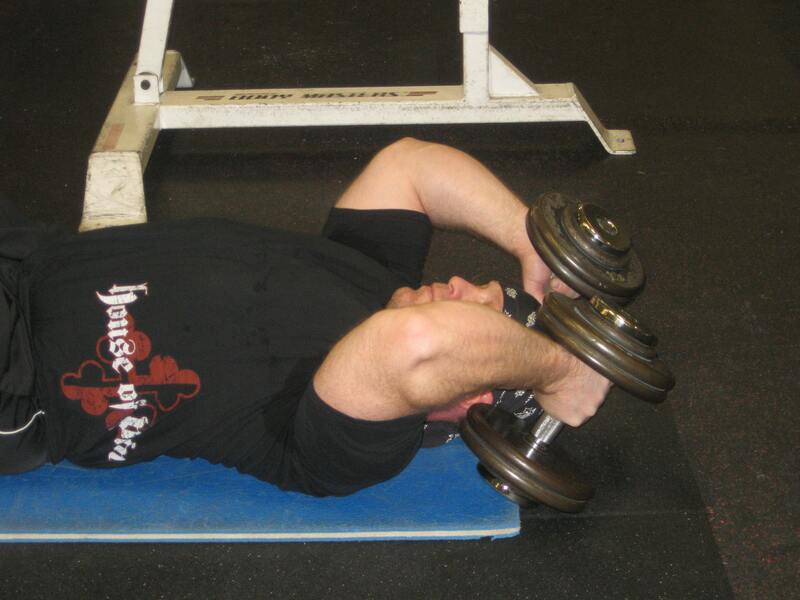 Dumbbell triceps extensions are performed lying on the floor. 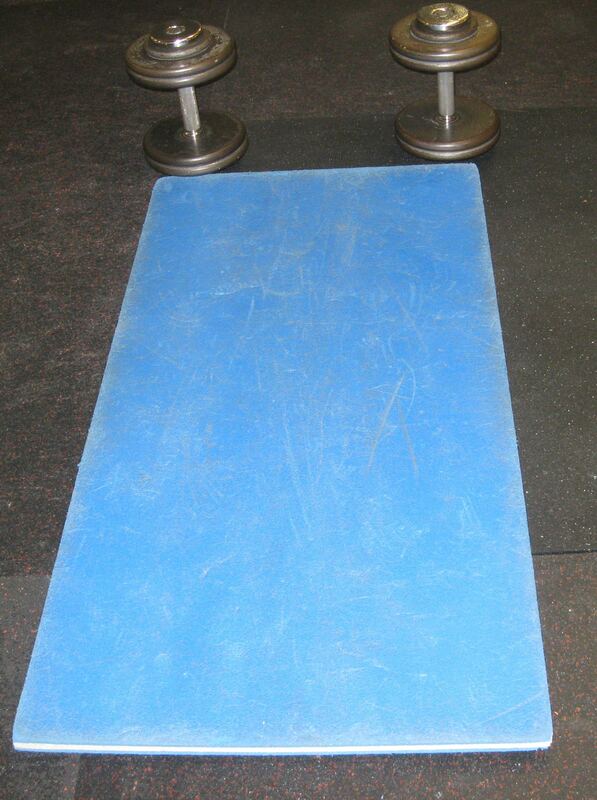 If desired, place a mat or pad down where you’ll be lying, and set the dumbbells on their ends to either side of where your head will rest. 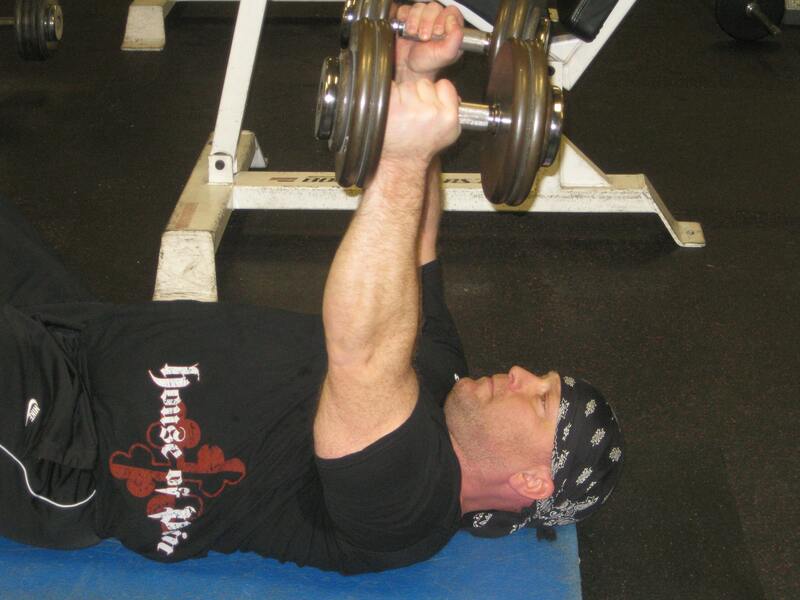 Lie down and grip the dumbbells with your palms facing inward. The base of your palm should press upward against the dumbbell. Your upper arms should point straight upwards, with your elbows pointing at the ceiling. While keeping your upper arm still, you’re your triceps to extend your arms and raise the dumbbells until your arms are completely straight. 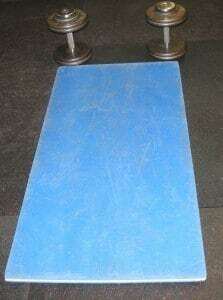 Allowing the weights to rest on the floor between repetitions, reducing the intensity and effectiveness of the exercise. Bringing your upper arms down (toward your head) allows you to use your lats to assist with the exercise. This reduces the workload on your triceps.